How Does a Backup Camera Work? While your rearview mirror is an invaluable tool, it does have limitations to its scope. Federal guidelines for new vehicles under 10,000 pounds require that they come equipped with a backup camera, which broadens the rear viewing angle and helps the driver to avoid obstructions that might otherwise have gone unseen. The Volvo XC60 is a luxury class SUV that takes some of the guesswork out of driving. When it comes to pleasing their customers, Volvo engineers have a long reputation for giving them what they want. The XC60 is no exception, so let’s check it out. With the Volvo XC60, there is no need to worry about dimming your lights at night because the vehicle will do it for you. The Volvo brand has totally reimagined itself in recent years and now has a totally revamped lineup of cars and SUVs. The Volvo S60 represents Volvo's popular and luxurious compact sedan, and you can tell the designers put a lot of time and effort into the interior. The new Volvo S60 has many standard and optional features to make the interior even more luxurious. The seats are heated, ventilated and have a massage function as well to make the passengers as pampered as possible as they travel. The Volvo S60 also has 4 zone climate control as standard. The days of going to a shady used car dealership lot and taking a gamble on your next car purchase are long gone thanks to the Volvo Certified Pre-Owned program. Find out why this is the smart way to take care of your next vehicle purchase. The new Volvo XC60 is a popular SUV that packs plenty of power under the hood. That said, this popular vehicle includes many technological features that can make the travels of drivers and passengers much easier. On the technology front, the Volvo XC60 includes a 360-degree surround view camera that gives drivers virtual views of blind spots and other possible danger areas. This system can raise driver awareness and thus help to prevent potential accidents. Car buyers who want a popular luxury sedan should try out the Volvo S90. The new S90 is designed to give you the power and handling you need on the toughest of roads. See what performance features the S90 has to offer. The chassis provides a smooth driving experience and excellent handling. The chassis of the Volvo S90 is fashioned in a double wishbone style made of aluminum. This front chassis design gives the S90 the ability to remain balanced under different turning conditions. You'll be impressed with the way the S90 handles on the road. Volvo has started production on the new Volvo S90 at their plant in South Carolina. We expect to see the cars in our showroom starting in November. This will be the first Volvo produced in the United States! 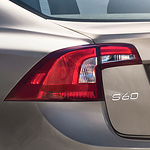 The new S60 will be available by purchase, lease, and Care by Volvo, the premium subscription service. The North American International Auto Show in Detroit will be a historic day for Volvo and its 90 series. It was there that the V90 Cross Country made its American debut and the entire 90 series was together on American soil for the first time. The Volvo C70 is one of the Scandinavian car company’s most well-known and reliable models and this year, it celebrated its 20th birthday.. In 1996, it debuted at the Paris Motor Show and wowed the audience with its fresher, slimmer body type. It was also Volvo’s first “proper” coupé since the 1800s.